A new club and training center for young people as been going for about 2 years. The club provides coaching sessions by FA qualified coaches on a Saturday morning for juniors at the Beap center of Midland road Bradford next door to Bradford City football ground. 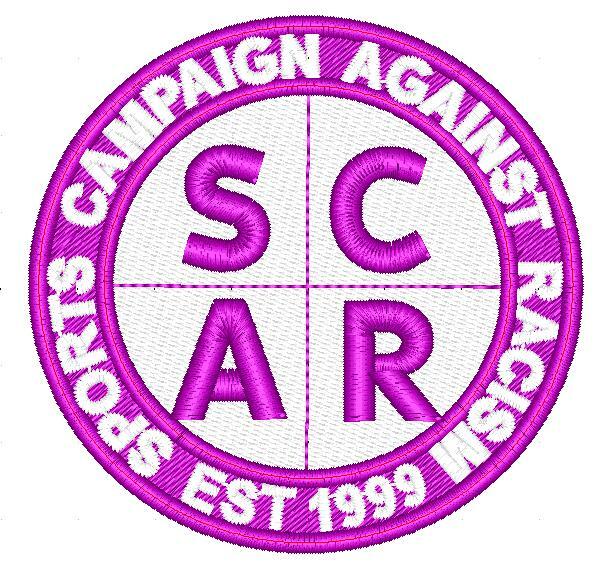 SCAR provided some T shirts for many of the young kids to wear at future matches to highlight that discrimination of any form will not be tolerated. SCAR have sponsored Sharpla under 17s tracksuit tops in a tournament in London. A football tournament will be happening in the near future for many of the young kids at Sharpla and other newly formed clubs to participate in to get the kids ready for organised football in the future.